Is it too late to rename them Barry, Robin, and Maurice? I am prone to bouts of nostalgia for the 1970s. It was the decade of my innocent years. The ‘70s began with me forming my earliest memories and ended with me standing on the cusp of teenagerdom. It is appropriate that I have a soft spot for those days. Why my children so easily follow me into that ‘70s groove, I can’t explain. The decade of their formative years is not half over with yet. They should be assembling the mental scrap book that will draw their hearts back to these good old days in times to come. Maybe they are, but in their spare moments, they are boogying back to the ‘70s right beside me. Musically, the ‘70s decade was an odd dichotomy of timeless classics and curious songs that seemed fitting at the time, but now make me wonder what other questionable choices were being made by the grown-ups of my youth. This doesn’t mean these song aren’t still fun to sing, especially if you are riding in the car with the other two members of your boy band strapped into their respective booster and toddler car seats. 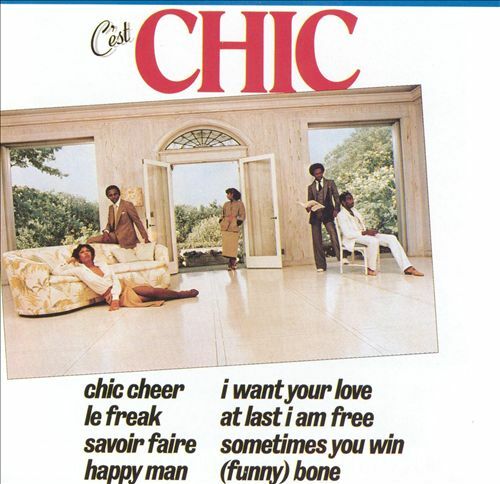 When Le Freak (remembered by children of the ‘70s as Freak Out!) came on the radio, my bandmate in the booster said, “Oh yeah, I know this song.” I found that a little odd since I’d heard it about five times since sixth grade and not at all since he was born. The record that made us all freak out. As if sensing my skepticism, he began singing along to every “Freak Out!” – of which there are many. It’s the main feature of the song. Back in the day, it seemed like a fun song. Then it seemed like a stupid song. Now, it’s a fun song all over again. That’s the magic of the ‘70s. It put us all in good mood. When the new baby is up to singing, I may just bow out of the group and see if we’ve got a brand new generation of Bee Gees on our hands. Being a child of the ‘70s, nothing could be more appealing to me. 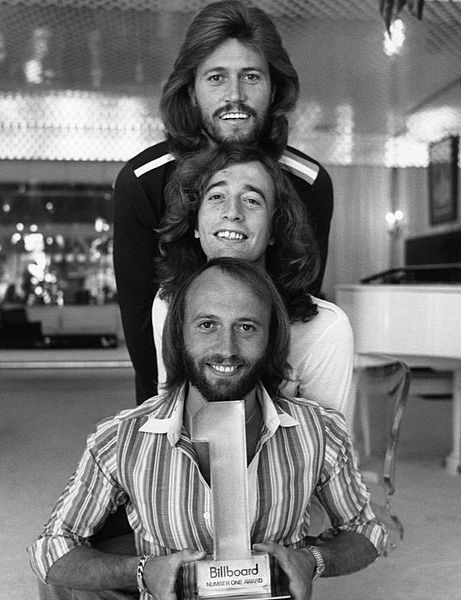 If Chic could put me a good mood, driving around with my own set of Bee Gees in the back seat would put me on top of the world. I’m thinking my new Bee Gees won’t be quite so hairy. This entry was posted in It's a Guy Thing and tagged 1970s, children, Dads, family, fatherhood, humor, kids, music, parenting, Sons. I recently watched two different shows from the 80’s and this thought ran through my head every time a character changed wardrobe: What were we thinking back then? Why did women with shoulders padded to resemble the body frame of the Hulk ever seem like a good idea? I’m much more forgiving about the music of that era than the fashion. ’80s fashion was a train wreck. As for the music of the ’80s, I like it more now than I did in the ’80s, probably because it takes me back to the fun times of high school and college. If not for the memories, I’d probably still be indifferent to it. It will be interesting in 30 years when you and your boys are nostalgic about the music of your youth and it turns out to be the very same music. That would be great. But when they get to be in charge of the radio I think that plan will go off the tracks. Thanks…thanks to this post the melody of ‘Freak out!’ will be stuck in my head for the coming weekend. That’s okay, though. I grew up in the 90’s and for some reason I couldn’t get this song ‘Blue daba dee daba da daba dee daba da’ out of my head (not even sure if it was a hit in the US, but the lyrics should tell you enough)…I’m not sorry for missing out on the 70’s, but I sure would’ve like to grown up with that era’s music! I miss the ’70s for many reasons, but mostly just because I want to relive being a kid again. The sky has never been as blue as it was for me in those days. I must get Freak Out so I can sing it with Gage! Every time we try adult music he wants to go straight back to kids songs. Maybe this willl bring the gap. I notice they’re using adult music more and more in animated films. I believe that’s where my boys got their first taste of “Stayin’ Alive” and also “Le Freak”.